From the author of Black Iron Mercy comes the extraordinary journey of a young man searching for identity and purpose against the backdrop of the American Civil War. EZ Webster of the 14th Indiana Regiment isn’t himself today. He wasn’t himself yesterday, either. In fact, Private Webster hasn’t occupied his own body for some time now, waking up in the skin of another soldier, inhabiting his body just long enough to get killed, and then leaping to another unfamiliar form, only to get killed again. With each leap of existence, EZ brings the memories and faculties of the previous man with him, able to conjure the wisdom of all he’s possessed at any time, gaining scholarship and aptitude with each jaunt. But EZ isn’t interested in this earthly version of immortality. All he wants is to be reunited with his own skin and bones. If that isn’t an option, he’ll settle for permanence in death. Brilliantly envisioned, The Dim White Lightis a melodic and alluring first-person narrative. Written with great intensity and refinement, Eric Schlehlein’s second novel is a wonderfully crafted tale of a man struggling to understand his new reality as he searches for answers and a return to normalcy. 18 years after the Battle of Gettysburg, Arlis Jenkins has found some contentment in owning a livery in a small Wisconsin town. Every day he struggles to cope with a lifetime of affliction and hardship in a time that has yet to understand the traumatic effects of such events on the mind. Arlis wants nothing more than to put the war and his troubled past behind him, shunning public admiration and declining invitations to reunions of his former regiment, the Sixth Wisconsin Volunteers. But now, distorted testimonies and stolen valor ignite fervor within, and Arlis realizes that if history is to get the story straight, he must overcome his angst in reliving it, lest he and his brethren be omitted from the annals of the days that defined them as men, as soldiers, as victors. 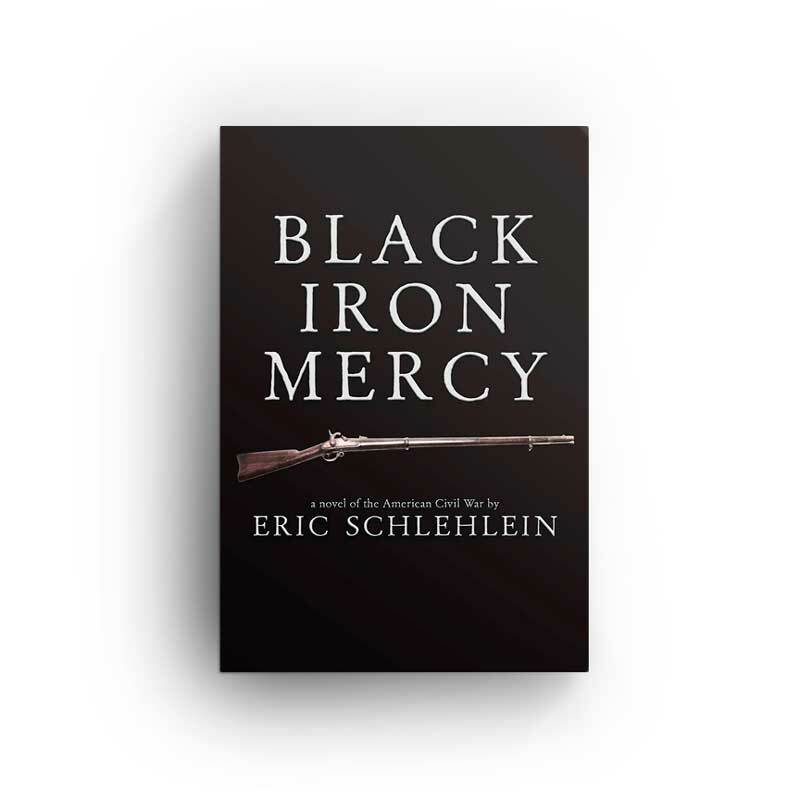 Told in a series of flashbacks, Black Iron Mercy is a poignant tale of love and faith, war and discord; a family shattered by loss and sorrow, and a man who struggles every day to hold onto hope.